Agent 47 is the genetically enhanced assassin protagonist of the Hitman series. The series has spanned 12 years, with the newest installment released on November 20, 2012. 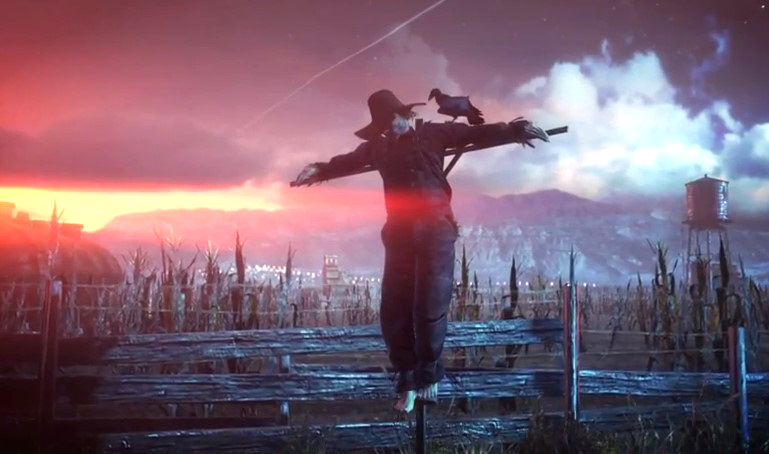 It said that the wicked “will not seek after God.” Agent 47 decides to leave behind the pursuit of his “god” (symbolized through his rejection of Catholic implements-the rosary beads and crucifix) after the events of Hitman 2: Silent Assassin. That also lines up with Isaiah 1:28. It said the wicked’s mouth “is full of cursing.” Agent 47 does in fact use profanity, most notably in a cutscene near the end of Hitman: Blood Money. It said the wicked’s mouth is full of “deceit and fraud.” 47 has used deceit and fraud throughout the entire series. It said that the wicked “sitteth in the lurking places of the villages: in the secret places doth he murder the innocent.” Agent 47 does this in almost every mission. According to these verses, we can see that Agent 47 is not an antihero as he is often portrayed, but is in fact wicked according to the Bible. However, there is something MUCH worse which has emerged in the Hitman series. The tight, sensual clothing the Saints wear is DEFINITELY going against this verse. “ And the beast which I saw was like unto a leopard, and his feet were as the feet of a bear, and his mouth as the mouth of a lion: and the dragon gave him his power, and his seat, and great authority. And I saw one of his heads as it were wounded to death; and his deadly wound was healed: and all the world wondered after the beast. We’ve already seen that 47 fights and kills the Saints. By this, we can see Agent 47 represents the beast in Revelation 13 (his ultimate fate is described in Revelation 19:20). This mixing of the good and evil is described and examined in the article: Halo and the Bible Part 1: The Flood (Gravemind). This entry was posted in Uncategorized and tagged Agent 47, another Jesus, Attack of The Saints, baseball bat, beast, Bible, bribes, Cross, demonic, Devil, evil, fire poker, gaming, God, golf club, good and evil, Hitman, Hitman Series, Hitman Trilogy HD, Hitman: Absolution, Hitman: Blood Money, Jesus, judgment, KJV, kjv bible, murderer, pool cue, Revelation 13, saints, slay, The Saints, video games, video games and the Bible, videogames. Bookmark the permalink.